After whetting the appetite with last week’s standalone season opener, fans of the Alex Scott and Staff West Gippsland Football Netball Competition get to enjoy the main course this weekend. Ten of the 12 clubs are in action, with only Dalyston and Inverloch-Kongwak sitting out round one proper, with the bye. We take a quick look at the games on offer. The reigning premier kicks off its title defence with a local derby at Bass Recreation Reserve. 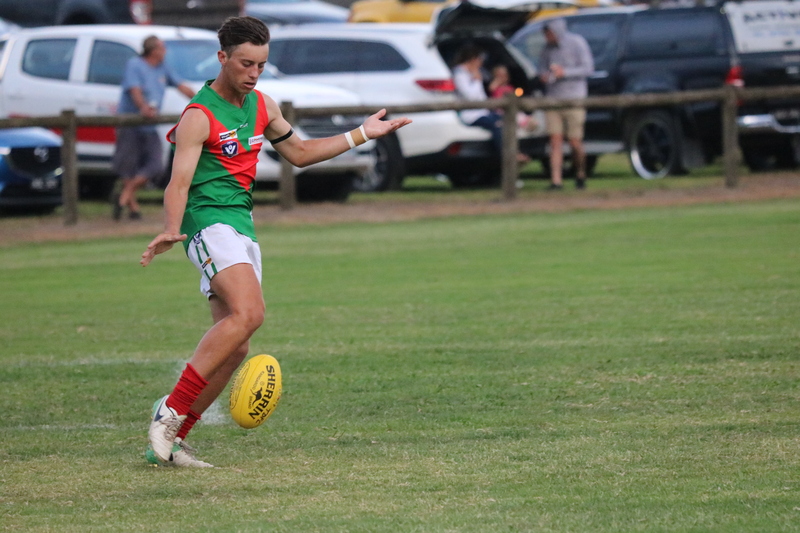 Star recruit Cameron Pedersen has been named and is ready to hit the ground running, if his form in preseason hitouts against Wonthaggi Power and Warragul is anything to go by. Eli Richards is also expected to play following his switch from Wonthaggi. New arrivals Shelton Rosario and Connor Steel are set to line up for the Panthers, along with promising young guns Jack Rosenow and Brad Aldwell, but there’s no sign of skipper Daniel Mock or tall forward Taylor Gibson for round one. Ben Ross will make his return to his boyhood club, when the Bulldogs host Cora Lynn at Bunyip Recreation Reserve. The former Hawthorn and North Melbourne key position player is expected to line up at half-back against the visiting Cobras and his experience is likely to be necessary against the big forward line that was so impressive against Tooradin Dalmore in the season opener. It’s a new-look side for the Yips, with Jeb McLeod, Daniel Mislicki, Stephen Morey, Duncan Proud, Aaron Paxton, Shane Smith, Nathan Lieshout and Michael Whyte also named, along with co-coach Ricky Clark in his first game out of retirement. Cora Lynn has named an unchanged lineup as David Main and his charges look to capitalise on their head start and get two early wins on the board. Dusties take their first steps in a new era in familiar surroundings, with a trip to Garfield Recreation Reserve. The two clubs have played plenty of footy against one another, with their last meeting in the Ellinbank and District Football League in 2016.
Cooper Hampton, Jacob Gibson, Corey Nickels, Joel Paredes and Bailey Quaife are among the new faces for the visitors, while Ned Marsh and Joel Morgan are back in the green and gold for Garfield and are joined by James McKellar as additions to last year’s side. A famous face also headlines the clash at Nar Nar Goon Rec Reserve, where Lachy Hansen will reunite with another old favourite – the navy and white hoops – in a heavyweight clash with Tooradin Dalmore. The Goon will don their traditional jumper, with Damon Hansen also back at the club and in the side. The Seagulls have made two changes to the team that came up short against Cora Lynn in the season opener, with Lewis Hill and Nick Lang replacing Jason Kestle and Mathew Sloper in the selected side. Grand finalist Koo Wee Rup begins its campaign away to Korumburra Bena. Teams have yet to be named, but Darren Sheen is expected to make his debut for the Demons, while Paul Alger takes the reins at the Giants for the first time since 2001. For more information on the senior teams and a preview of the A Grade netball sides, pick up a copy of The Barracker at the gate, or view online here.